Click here to visit the Costco site and click “Get A Sample” underneath the product description. 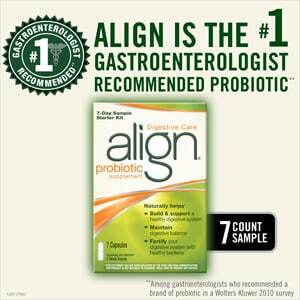 Then fill out the form to request your free sample of Align Probiotic Supplements. Allow 4-6 weeks for delivery. Keeps sending me to the free tampon sample? It doesn’t come up… it takes me to the Tampax Pearl freebie link…? AHA!!! click on the PICTURE, NOT ‘click here’….Thanks!!! That link is for Tampax, not an edible supplement!!! Havent try tis yet , but would like to.